Personal style is a very important part of my life. The way in which one dresses speaks volumes about them as a person. Regardless of how much thought one puts into their outfits, they’re making a statement to everyone they encounter, including themselves. I love the show What Not to Wear. In this TLC reality show (which is now in its final season, boo) Stacy and Clinton have taken hundreds of women and shown them how clothing can work for them, increasing their self confidence and raising their outer beauty to match their inner beauty. Another key element that I believe to be just as important to dressing well is wearing clothing in colors that are appropriate for you. Women in my mother’s generation seem to be well versed in the system of color-analysis, knowing which seasonal category they fall into (spring, summer, autumn, winter) and consequently what colors look the best on them. This includes the shades of make-up being worn. Somewhere along the line, the major emphasis on color seems to have dissipated. My mother was a color-analyst while I was growing up, so my appropriate colors were constantly drilled into my head. Now as an adult myself, I find the process of color analysis more appealing than ever. It’s an art and a science with beautiful end results. Think the little black dress is for everyone? Think again. Black is not a neutral and does not work in a positive way for most people. Surprisingly, it only works best on one of the four seasons. Navy, however, is a great alternative that works for all seasons and is a shade I am constantly turning to. As much as I wish it were, black is not on my color palette, and for good reason because it looks awful on me. This isn’t to say that black can never be worn. I frequently wear black bottoms, but I do my best to keep it away from my face. When I do (rarely) wear a black top, I’ll wear a bold necklace or scarf in colors from my palette in order to draw the black away from my face. Over the next few weeks, I’m going to be taking each Wednesday to walk you through the color-analysis process in order to help you figure out your season and in turn the color palette that will become your new best friend. 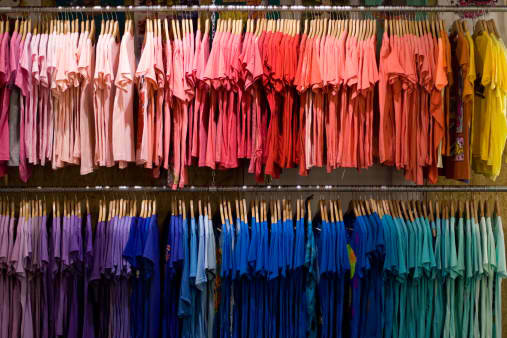 Trust me, shopping is much easier when you can eliminate half of the store simply by ruling out certain colors. It’s also that much more fun because clothing in colors that work for you is that much more exciting to try on. I’ll be using the Color Me Beautiful book by JoAnne Richmond as a reference to these discussions. I hope you ladies find this concept as appealing as I do. Stay tuned for the teachings to come! Love that you are introducing this to your generation. You have explained it beautifully!